The Florida Keys are a chain of islands at the southern tip of Florida and they’re often referred to as the American Caribbean. Life revolves around the white sandy beaches, the warm blue sea and the gorgeous scenery. 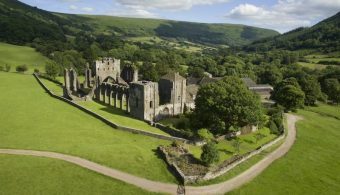 The average temperature is 25.5 degrees C so it’s not surprising you’ll find most people outdoors. I was lucky enough to visit the Keys a few weeks ago and get some much needed winter sun on my British skin. The Florida Keys are a perfect place for a short trip (think 3-5 days) so for lucky Americans it would make a great weekend escape! For anyone else travelling to the States, the Keys would be a great add-on during a trip to Florida. My dream holiday would involve a week at the theme parks in Orlando (hello, Harry Potter World!) followed by a road trip to Miami and then ending in the Florida Keys. How amazing would that be!? Here’s the perfect itinerary for 3 days in the Florida Keys beginning in Key West. Ibis Bay Resort is an original and unique 1956 resort has an artistic, Cuban influence. The brightly coloured rooms lead out to the water and a white sandy beach. The highlight of this place is the restaurant, The Stoned Crab, where you can get epic breakfasts and enormous seafood platters for dinner. The hotel isn’t in the centre of Key West but there is a free shuttle bus into town. Key West is a city which encompasses the small island of Key West. The island is a really touristy island and well known for its laidback vibe and colourful houses. Start your day at Blue Heaven, an outdoor restaurant known for serving up one of the best breakfasts in Key West. There’s a relaxed vibe as everyone chills in the shady garden and listens to the musicians playing nearby. 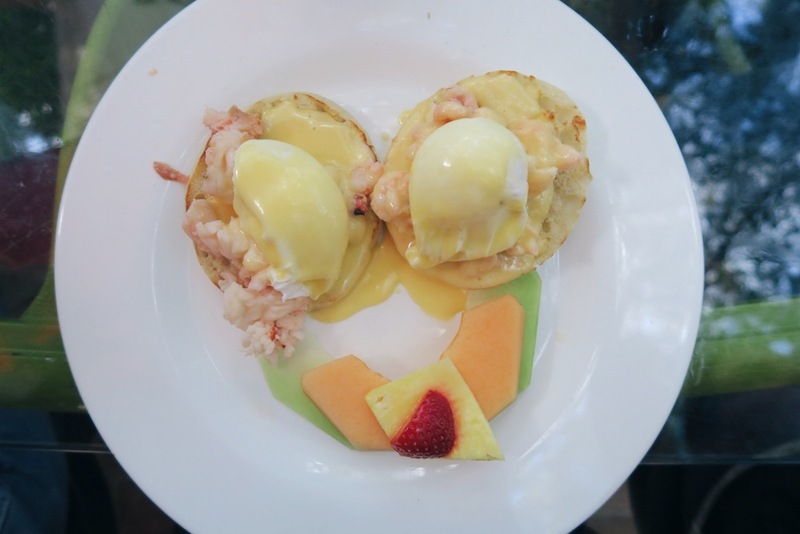 I thoroughly recommend the Lobster Benedict with a side of freshly baked banana bread – seriously the best way to start the day. 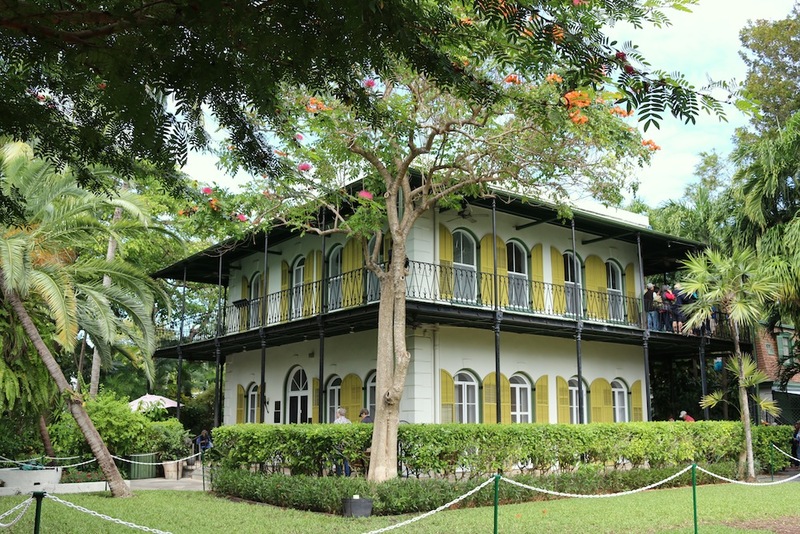 The Ernest Hemmingway Home and Museum is nearby so make that your next stop. Even if you’re not a huge Hemmingway fan, this is a really interesting place to visit and a sneaky peak into his glamorous and wealthy life. Take a look at the Florida Keys and Key West website to see the calendar of events and more things to do. Make sure you head to the southern most point in Continental USA. It’s 90 miles from Cuba and makes for a great photo op! If you’re feeling adventurous then take to the water with a jet skiing tour. I did this and absolutely loved it. An easier alternative is nightboarding at Ibis Bay. They offer kayaking and SUP tours at night where you board or kayak is fitted with LEDs to illuminate the water around you. Unfortunately, it was too cool for us to do this but it sounds amazing! Enjoy dinner at the Stoned Crab which is attached to the Ibis Bay Resort. 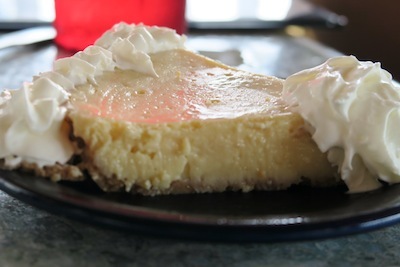 You can find out exactly what I got up to during my first day in Key West. Every day in the Florida Keys is going to be pretty epic but I think this day is the highlight of the itinerary. Take a seaplane excursion to the Dry Tortugas National Park/Fort Jefferson with Key West Seaplane Adventures. The Dry Tortugas National Park is almost 70 miles off the coast of Key West and a seaplane is the best way to get there for those incredible views. You could also take a ferry for a more affordable option. The park is beautiful and you really will feel like you’re in the Caribbean. Make sure you’ve got your swimmers and your snorkel as you’ll want to do lots of swimming around the coral reef while you’re here. Fort Jefferson is an enormous fortress built between 1825-1826. It’s the largest brick structure in the Americas and made up of a whopping 16 million bricks! You can take a guided tour around the fort or enjoy it at your own pace. In the evening head to Key West’s Old Town to enjoy the Sunset Celebration. This is a street carnival that takes place every night at Mallory Square overlooking the harbour. The area is filled with street performers, local artists, musicians and food carts as everyone gathers to watch an incredible sunset. The atmosphere is lively and family-friendly and is perfect for a pre-dinner stroll. 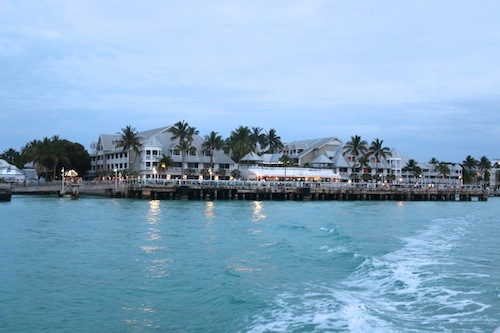 Next up, take the boat over to Latitudes Restaurant at Sunset Key. This was my favourite meal during my whole time in the Keys. The boat ride over there was so romantic as we skimmed over the water. 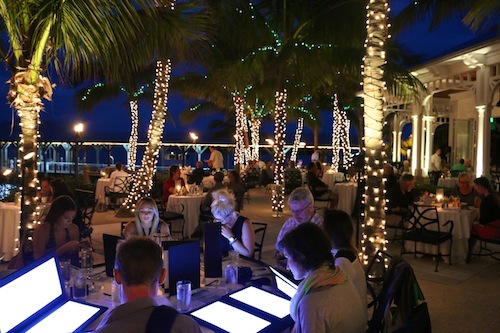 As we got closer to Latitudes it was possible to see twinkling lights snaking around each tree and illuminating the restaurant. It was magical and exciting and beautiful. A chorus of ‘oooohhs’ began when we were handed the menus and realised they lit up like TV screens as we opened them. It was a tiny touch that made reading in the dark so much easier – why don’t more restaurants have these!? We ordered cocktails while devouring the fresh bread and pondering the menu. Well, I pretended to ponder anyway. As soon as I saw the Surf and Turf (half a lobster served with wagyu beef) it wasn’t even a contest. Just writing this is making my mouth water a little bit (and it’s 8am and I’ve just eaten my breakfast!) I was sat amongst palm trees with fairy lights twinkling all around. The sea was lapping gently behind me and I was eating some of the most delicious food I’d ever had. I was sipping great wine and surrounded by great company. Maybe it was the combination of cocktails and wine but I couldn’t help but feel blissfully happy. This is how restaurants are meant to make you feel but very few manage to achieve an atmosphere that just makes you feel ridiculously happy. When you’ve visiting Key West, you really can’t miss this place! The boats back to Key West run until 2am so enjoy the atmosphere and the great cocktail menu. Turtle Hospital, seafood and beer! You’ll want to hire a car today to get a little further out of town. Enjoy breakfast at Ibis Bay before heading to the Turtle Hospital where injured sea turtles are treated and, when possible, released back into the wild. 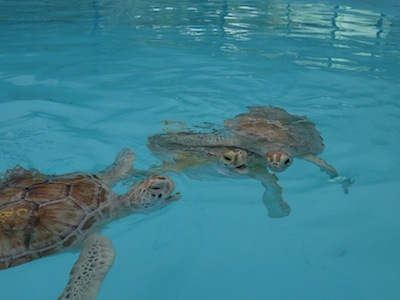 This is a great opportunity to get close to the turtles and see how they’re being treated. You can take an educational tour to learn more about the turtles and see how they’re being cared for. You can’t miss the chance to cycle across the Old Seven Mile Bridge. This iconic bridge better known as “Old 7”, was built in 1938 but was converted into a fishing pier and walking/cycling area when a new and stronger bridge was built. 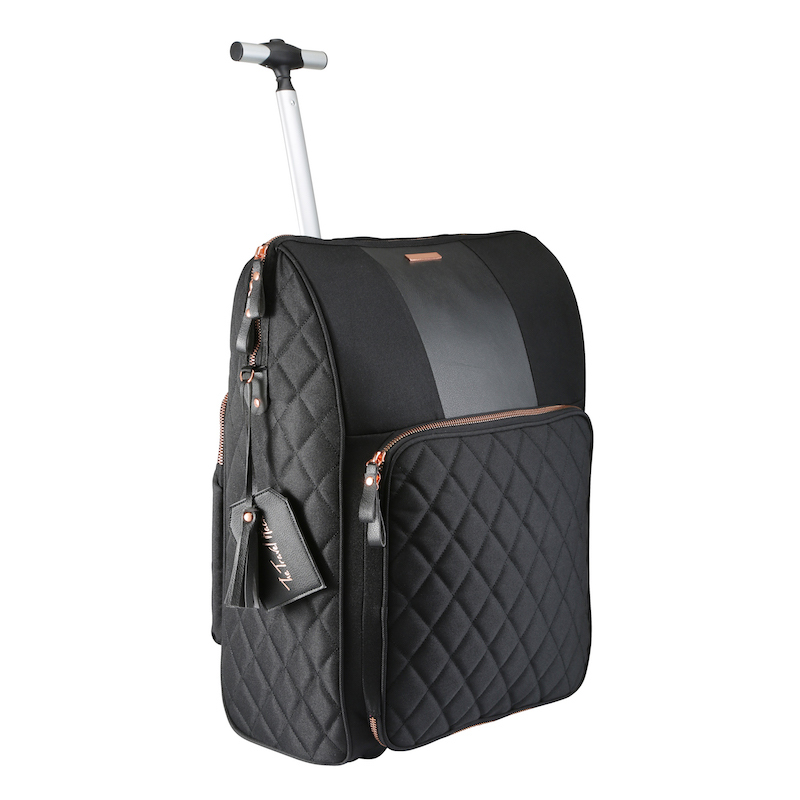 You can hire a bike through Overseas Outfitters. Head to Sunset Grille & Raw Bar for a delicious lunch overlooking Seven Mile Bridge. This was one of those places where I literally wanted everything on the menu. I opted for sushi and ended up with this enormous platter. It was amazing! After lunch head to Morada Way’s Arts & Cultural District. There’s lots to explore but one of the highlights of this area is the Florida Keys Brewing Co. The recently opened brewery and taproom uses local flavours to create unique craft beers. Key lime beer or chili beer, anyone? It’s the first mircobrewery in the Upper Keys and the funky décor was created by local artists. They have lots of fun events like the yoga and beer evening and with the tagline, ‘Detox before you retox’, it sounds like my kind of night. While we were there they were hosting a Beer and Girl Guide Cookies night where they paired beers with cookies. What’s not to love about that? This place could keep you entertained all afternoon as it’s a great restaurant but also has a big outdoor market, snorkeling trips, kayak rentals, jet skis and their famous hungry tarpon fish. If you’re feeling brave, you can feed the tarpons by buying a bucket of fish and dangling them into the water. 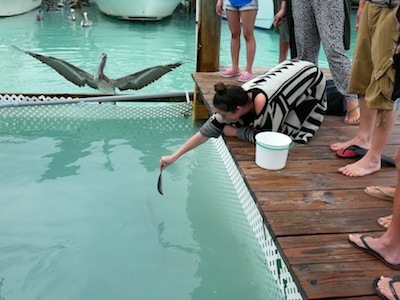 The fish will jump up and take them straight from your hand and often taking a mouthful right up to your wrist. The tarpons have no teeth so you don’t need to worry about losing an arm – but that doesn’t stop it being scary! And there you have it, the perfect 3 day itinerary for the Florida Keys. If you have longer than 3 days then I’d add on a couple of days to relax and enjoy the gorgeous beaches and water sports on offer. Do you have any more suggestions for a short break to the Florida Keys? Massive thanks to Florida Keys & Key West Tourism for hosting my incredible stay. Gorgeous – I’ve been to a few parts of Florida (although never Orlando etc) and love the variety but the Keys are definitely on my wishlist. I have always wanted to go to the Florida Keys. It looks fantastic! Thanks for sharing! Thank you for all these wonderful tipps. I will be traveling to the Keys in about three weeks and am glad for posts like this.